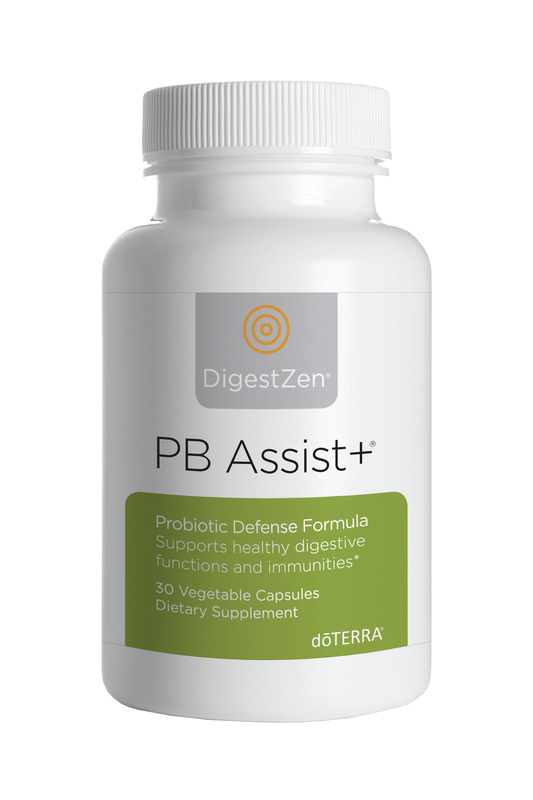 PB Assist+ is a proprietary formula of pre-biotic fiber and six strains of probiotic microorganisms in a unique double-layer vegetable capsule. It delivers 6 billion CFUs of active probiotic cultures and soluble pre-biotic FOS (fructo-oligosaccharides) that encourage friendly bacterial growth*. 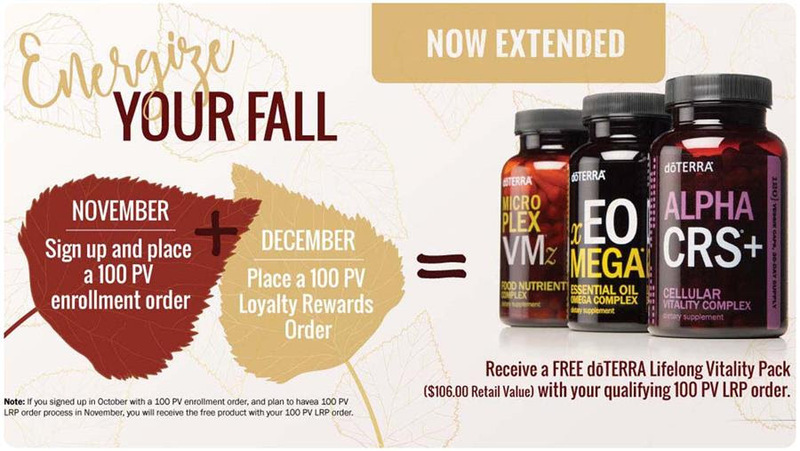 The "Energize Your Fall" Promo has been extended through November! Receive a FREE doTERRA Lifelong Vitality Pack® ($106.00 Retail Value) with your qualifying 100 PV Loyalty Rewards order. Additional information, as well as official rules and terms can be found here.